Vulnerable people and rough sleepers in Doncaster are set to benefit from a monthly town centre pop-up hub, which provides support and an opportunity to reconnect with health services in a bid, to help them turn their lives around. The hub is a joint venture between Aspire Drug and Alcohol Services which is run by Rotherham Doncaster and South Humber NHS Foundation Trust (RDaSH) in partnership with the Alcohol and Drug Service (ADS), NHS Doncaster Clinical Commissioning Group, Doncaster Council and Hall Gate United Reformed Church. The hub follows a successful pilot which took place in July this year which saw 18 people attend and receive support and advice from health and social care experts and also financial and housing advice all coming together in one place. 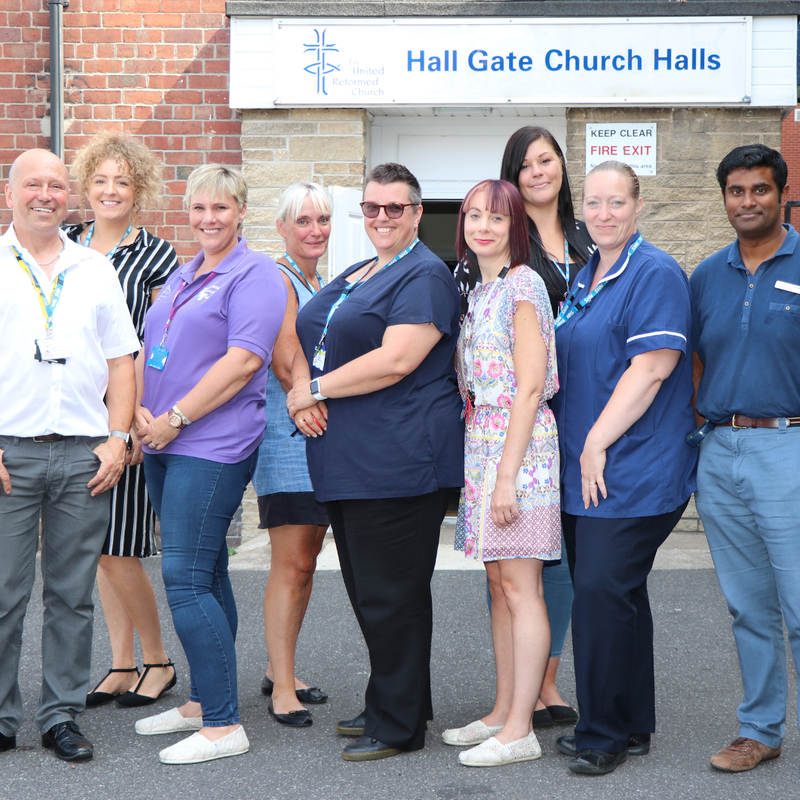 Nurses and a street doctor were on hand to provide mental health support and wound care treatment to help tackle addiction, mental and physical health issues. The monthly pop-up hub will take place on the first Thursday of each month from 11am to 1pm in the Hall Gate United Reformed Church in Doncaster. It is open to anyone who is struggling to engage or receive services in Doncaster. The Doncaster Complex Lives Alliance is a partnership of support agencies working to engage with and help people who are caught in a cycle involving rough sleeping, addiction and mental ill – health. Their goal is to aim to help people access accommodation and support and to help them on the road to recovery and re-integration into community life. Photo shows: Aspire’s Stuart Green (far left) and some of the Alliance members at Hall Gate United Reform Church pictured at the previous pop-up hub.